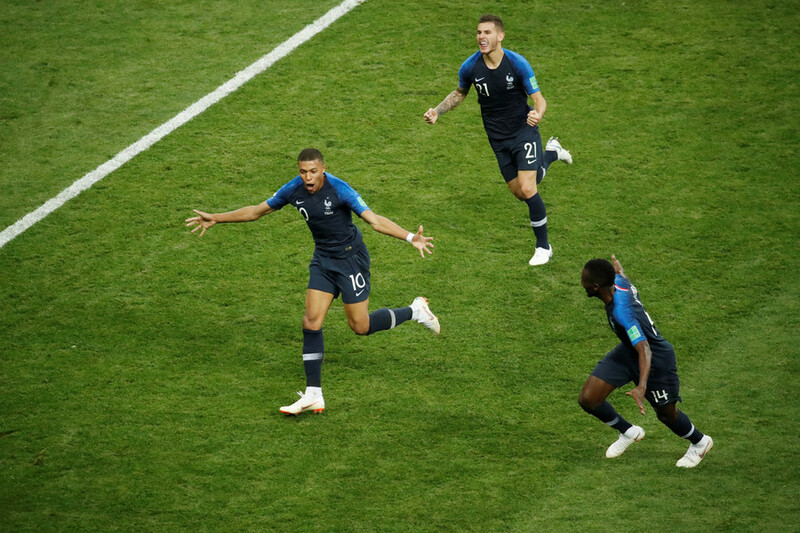 A rampant France clinched their second World Cup title with a 4-2 victory in the Russia 2018 final over plucky underdogs Croatia at Moscow’s Luzhniki Stadium in a match that saw class and controversy in equal measure. It was Les Bleus who opened the scoring when Antoine Griezmann’s 18th-minute free kick to the back post was guided into his own net by a rising Mario Mandzukic, the man who scored the goal to get Croatia into the final match. Ten minutes later and Croatia were level when the reliable Ivan Perisic slotted home from just inside the box. However, a Griezmann penalty given through a VAR decision ensured France went into the break ahead. The second half saw two screamers in quick succession from Paul Pogba and Kylian Mbappe that both cued celebrations from the bench, before a nightmare blunder from Hugo Lloris allowed Mandzukic to redeem his earlier error. 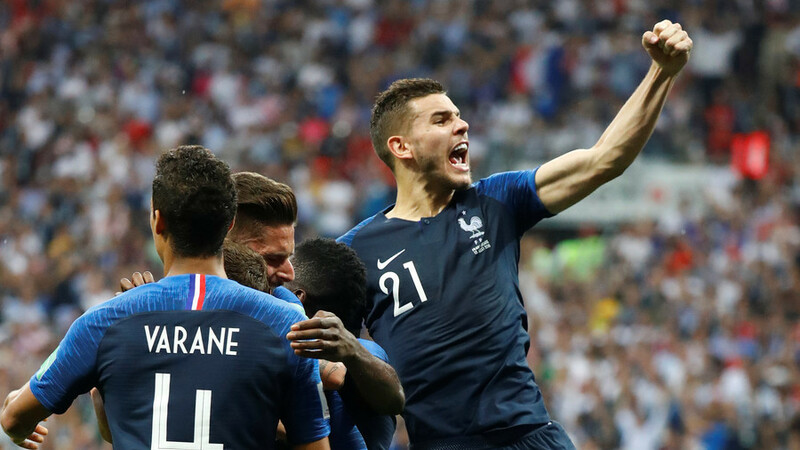 France were to prevail by a scoreline that in the end flattered to deceive, to win their second World Cup trophy in 20 years since their maiden win at their home tournament at France ‘98 and avenging their defeat for their 2006 defeat to Italy. For Croatia, there was to be no fairy tale ending for one of the World Cup’s most unlikely stories. In the buildup to the game, superstar Will Smith graced the turf with rapper Nicky Jam to ignite the crowd with his official World Cup song ‘Live It Up’, but the performance turned out to be merely a warm-up act for 2002 winner Ronaldinho. The Brazilian gave a brilliant whirl of the bongo drums to the tune of traditional Russian song ‘Kalinka’, accompanied by a singer in authentic Russian dress and schoolchildren that stole the pre-match show. The it was time for the leading men to take center stage. For the final time at the 2018 World Cup, the referee’s whistle sounded to begin a match, the 64th of an exhilarating and at times ecstacy-evoking tournament kicked off at the very place it began - its epicenter Luzhniki Stadium. When the action did get underway, Croatia showed they were a threat down the left from Ivan Perisic, perhaps the side’s most effective player during the World Cup, and full back Ivan Strinic. French defender Samuel Umtiti, the man who scored the goal to fire France into the final, was called into action to clear danger more than once in the first 10 minutes. 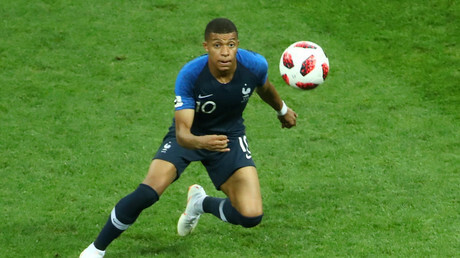 After a first quarter of an hour of absorbing pressure, France finally began to play, kicked into action by the sonic pace of Kylian Mbappe down the wing, accompanied by the ever-present Antoine Griezmann, and it took Marcelo Brozovic to bring down the Atletico Madrid man to stop a French attack around 30 yards out on the right hand side of box. The player himself rose to drift the ball left-footed toward the back post but before it could reach a French head, Mario Mandzukic also rose to unknowingly nick the ball behind him and into his own net. First blood France, but only by virtue of an own goal. Les Bleus had only briefly been in the ascendency and were in the lead for an equally ephemeral length of time. A mere 10 minutes passed before Luka Modric lofted a free kick to the back post which was headed back across goal and found its way to Perisic. The midfielder took one touch to create space before smashing a left-footed strike into the far corner from just inside the box to give Hugo Lloris no chance. The underdogs were all square, much to the delight of their chequered-flag waving fans. It took just another 10 minutes for the game’s and what will surely go down as the tournament’s most controversial moment. Griezmann again it was who delivered a corner from the right for Blaise Matuidi to attack at the near post, but the player simply nodded the ball onto the nearby Perisic, and the appealed for a penalty. Argentinian referee Nestor Pitana consulted VAR and although replays showed it may not have been intentional, pointed to the spot. The Croatian players surrounded the penalty spot to protest and leave Griezmann with what must have felt like an age to take the penalty, clutching the ball under his arm in anticipation of taking a spot kick in front of Croatia's main end of fans. France score off first-ever World Cup final VAR penalty, but was the ref right? 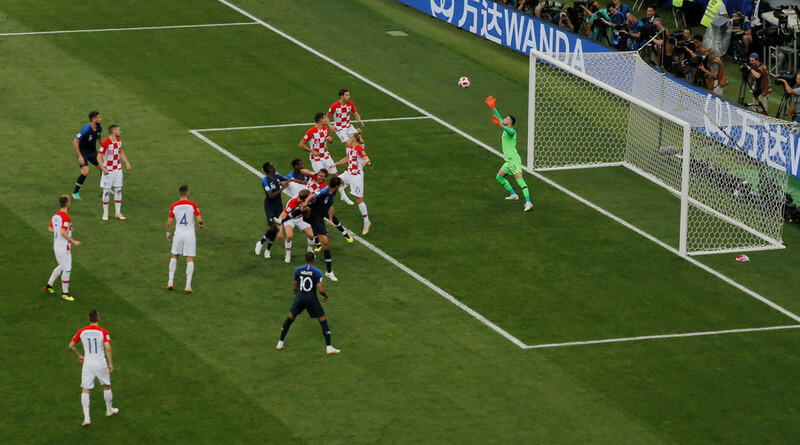 When the dust settled, the number 7 made no mistake in sending Subasic the wrong way and the ball into the left hand corner of the net, before wheeling away to practice his usual computer game celebration in front of the silent Croatia fans. With the goal, France entered the break ahead. When the restart got underway, France began to display their obvious quality which had been for the most part dormant for the first 45 minutes. Another flash of pace by Mbappe down the right-hand side left the Croatian defence in disarray as he centered the ball for Griezmann, who spotted Paul Pogba lurking on the edge of the area. The Manchester United man’s original right foot shot was blocked but when the ball landed at his feet a second time the midfielder slotted a left foot strike past an already committed Subasic with ease to see France put some daylight between them and Croatia. Just six minutes later and it was teenager Mbappe’s turn to get in among the goals. After some wing wizardry by Lucas Hernandez on the left flank found the precocious teenager in acres of space for the striker to fire low and hard in the bottom left hand corner. Subasic may have felt he could have done better. With the score at 4-1 France were cruising which precipitated a lapse in concentration from French goalkeeper and captain Hugo Lloris, perhaps guilty of losing focus because of the stacked action at the other end, attempted to dribble out from his own goal. Mandzukic’s tackle was enough to dispossess the experienced stopper and notch a Croatian second goal. Despite the best efforts of the Croatians to force a third, they couldn't find another opening and time agonizingly ebbed away. When the final whistle of the final match sounded, bringing a climactic end to the tournament, the French players rushed to the crowd to grab tricolors and run laps of honors around the Luzhniki turf, stopping short of the Croatia end, where the tears and silence of the fans contrasted their joy. They turned back to their own supporters, to where renditions of “La Marseillaise” could be heard and will surely keep on well into the Moscow night.